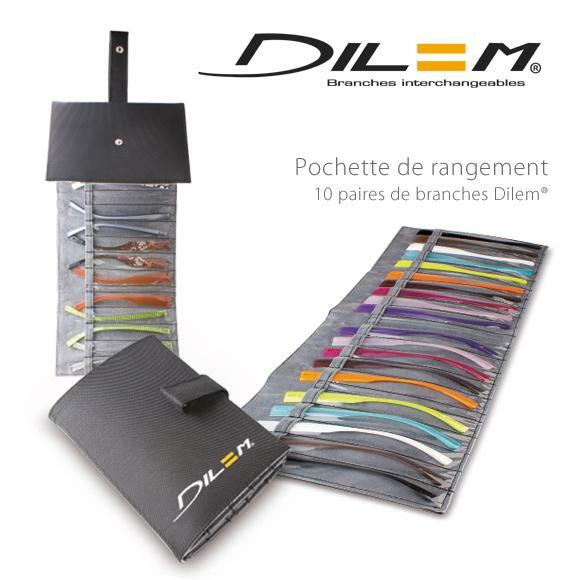 It's official, Dilem now has a pouch for storing your temples! Designed like a wallet, you can take the pouch with you wherever and however you travel. It allows you to store no fewer than 10 pairs of temples! But that's not all! You can also see all of your temples in one quick glance as it has an external hook to hang it up open in your bathroom, bedroom, etc.